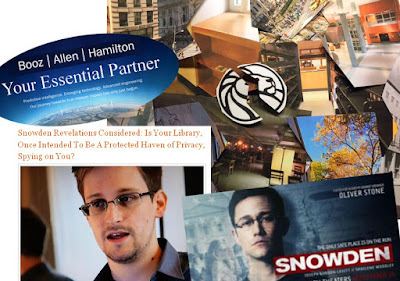 Noticing New York: Snowden, Booz and the Dismantling of Libraries As We Know Them: Why Was A Private Government Spy Agency Hired to Take Apart New York's Most Important Libraries And Turn Them Into Something Else? Snowden, Booz and the Dismantling of Libraries As We Know Them: Why Was A Private Government Spy Agency Hired to Take Apart New York's Most Important Libraries And Turn Them Into Something Else? This post will in a moment, I assure you, be about what has been a favorite topic for Noticing New York to keep returning to in recent years: The dismantling of libraries as the institutions we have traditionally relied on, but first. . . .
Oliver Stone’s new film “Snowden” is now out playing in the theaters. It is a powerful, important, brilliant and spectacularly well-crafted film. You’re likely to want to see it more than once. It is also, to an amazing degree about relationships, the kind that can make this world work better and the kind of relationships that drag us into dank swamps. Although the film can’t pass the Bechdel–Wallace test (a test which must involve two women talking- and there is only one important woman in the film) it may pass muster as a woman’s film in that Snowden’s girlfriend plays such a key role. An extraordinary amount of what unfolds hinges on the intelligent management of the developing bonds of the couple’s relationship. To balance that out, the film is also about male bonding, at least to the same extent that one might say the "The Godfather" is about that subject. The film is, of course, centrally about Snowden’s disclosure, through carefully vetted news reporters, of the massive, illegal, very worrying over-surveillance of the US citizens and basically everybody else in the world as well. The film should be viewed in tandem with the excellent “Citizen Four” that won the Academy Award last year for best documentary. That’s especially recommended in a situation where sticking to the facts is so critical. Despite what some might tell you, the film is far from glib about what are the views of those who probably have positions opposite to Snowden’s and it absolutely does acknowledge that knowing what actual terrorists might be up to is a seriously essential matter. It does acknowledge that the government's surveillance equipment could be used to protect Americans. It is therefore more devastating in its indictment when it points out that the country’s over-surveillance of the public is less likely to be about hyper-vigilance to prevent terrorism and more likely to be about other things, things such as military-industrial-surveillance complex boondoggle spending. * There is also the problem of the secret unleveling of playing fields and for the benefit of whomever that may be. What has the Snowden movie got to do with the dismantling of our libraries as we know them? It will become clear as we proceed, but first I can give you a hint: It is worthwhile to remember that it was librarians who offered the first successful challenge to the massive illegal over-surveillance of the public. And now we proceed. . .
As the “Snowden” film nears its climax, the hitherto unknown Snowden is introduced on television screens around the world explaining that he is a employee of Booz Allen Hamilton a private firm contracted with the NSA. Back in the U.S., the leaks have put a spotlight on the company Edward Snowden worked for. Booz Allen Hamilton is one of the largest private contractors that does intelligence work for the government. Its share of the work keeps getting bigger, and as NPR's Laura Sullivan reports, that worries some government watchdogs. LAURA SULLIVAN, BYLINE: When you think of government cyber spying, it's easy to think of government employees of the CIA, FBI, NSA, the National Security Agency staring into computer screens, ferreting out foreign or domestic threats in nondescript office buildings. That's all actually true, except for the government employee part. These days, those employees are more likely than ever to work for government contractors. SULLIVAN: Booz Allen Hamilton is one of the largest government contractors in the country. It has 25,000 employees, nearly six billion in annual revenue and, for the most part, one customer: the federal government. Top officials familiar with the company told NPR that almost two-thirds of its work is now focused on intelligence- and defense-related contracts. JAY STANLEY [a senior policy analyst for the ACLU who focuses on technology and government. ]: Booz Allen Hamilton is really an arm of the intelligence community. They live on substantial government contracts. They have been involved with some of the most controversial federal surveillance programs in recent years. They have actually lobbied for increased information sharing. And if you look at their leadership and their staff, they are heavily made up of former military and intelligence officers. SULLIVAN: . . . . The company is considered one of the most trusted government contractors specializing in cybersecurity and technical support. Company records say 76 percent of employees have government security clearances. A few days after this “All Things Considered” piece ran, Bloomberg Businessweek had a cover story proclaiming Booz Allen Hamilton the most profitable spy company: Booz Allen, the World's Most Profitable Spy Organization- How a consulting firm turned itself into the world's most profitable spy organization, by Drake Bennett and Michael Riley, June 21, 2013. Essentially, although technically a private publicly traded company, Booz Allen is virtually indistinguishable from our government itself when it comes to surveillance, with as Bloomberg Businessweek said, the "federal government as practically its sole client." The government's surveillance work is now carried out predominantly through `private' spy organizations like Booz: "About 70 percent of the 2013 U.S. intelligence budget is contracted out, according to a Bloomberg Industries analysis." Name a retired senior official from the NSA or the CIA or the various military intelligence branches, and there's a good chance he works for a contractor-most likely Booz Allen. Name a senior intelligence official serving in the government, and there's a good chance he used to work for Booz Allen. • Mike McConnell- Booz Allen’s Vice Chairman, was (coming straight from the private sector) President George W. Bush's director of national intelligence and, before that, director of the NSA. • James Clapper- President Obama's top intelligence adviser-is a former Booz Allen executive. He is also the one who lied before Congress about the extent to which the government was actually collecting surveillance data on the American public. • Joan Dempsey- A former CIA deputy director works for Booz Allen and has called it the "shadow IC" (for intelligence community). In 2008 Booz Allen, as Bloomberg Businessweek phrases it, Booz: "became a pure government contractor, publicly traded and majority-owned by private equity firm Carlyle Group." The Carlyle Group was shifting its significant military-industrial-surveillance complex, involving things like munitions used in Afghanistan, more into the ownership of surveillance organizations. Carlyle bought a number of other intelligence companies, including, for instance, in 2003, Carlyle bought QinetiQ, a British company with Pentagon contracts that used to be the Defense Intelligence research unit of the British military (reputedly the inspiration for James Bond's Q), but which was privatized and perhaps sold way too cheaply in the early part of the George W. Bush administration. The Carlyle Group has been nick-named "The Ex-Presidents' Club" and called "one of the world's largest and most secretive investment funds." • George Herbert Walker Bush- Former U.S. President and also a former head of the CIA. • George W. Bush- Former U.S. President during 9/11 and the launching of ensuing surveillance under the PATRIOT act and the one who led us into the Afghan and Iraq wars. • Frank Carlucci- the firm's chairman, was Ronald Reagan's defense secretary and a former deputy director of the CIA. • James Baker- Former U.S. Secretary of State and Secretary of the Treasury under G. H. W. Bush and White House Chief of Staff to Reagan and G. H. W. Bush. Baker was also chief legal adviser for George W. Bush during the 2000 election overseeing the Florida recount battle which wound up with Supreme Court decision installing Bush as president. • John Major- Former British Prime Minister (succeeded by Tony Blair). The list goes on. Baker and Carlucci are among the partners investing in Carlyle. And, until 9/11 Bin laden Family members were also important investors in the Carlyle Group. Tim Shorrock, author of “Spies for Hire- The Secret World of Intelligence Outsourcing,” raises a basic question, opining that it is "an extremely dangerous trend" to allow sensitive operations, "in some cases operations we shouldn't even be doing," such as prisoner interrogations (torture like at Abu Ghraib prison) and renditions, to "become profit centers" in the American system of capitalism. Does all of this seem so terrible that you almost feel like somebody really ought to stop you from reading about it any further? Now to the dismantling of libraries. . .
. . . Scott Sherman’s 2015 book “Patience and Fortitude- Power, Real Estate, and the Fight to Save a Public Library” revealed that in 2007 the New York Public Library hired Booz Allen Hamilton to advise and help oversee a "radical overhaul at the NYPL involving real estate sales, consolidation and fund-raising." Sherman says that "in consultation with with Booz Allen" the NYPL made the decision to sell three major libraries, the Mid-Manhattan Library, the Donnell Library and the Science, Industry and Business Library (SIBL). In addition, the plan involved gutting the research stacks of the NYPL's 42nd Street Central Reference Library which held three million books, most of, and what was once the core of, its research collection. The four libraries thus being dismantled were the four most important central destination libraries in Manhattan. SIBL was a state of the art library just completed in 1996 and the Central Reference Library has last been expanded in 2002. While Sherman's mention of Booz Allen Hamiltion being hired describes the firm as "a gargantuan consulting firm that derives much of its revenue from U.S. military and intelligence agencies," he did not follow up on the implications of that passing statement. Finally, what was the role of Booz Allen Hamilton—the gargantuan consulting firm whose tentacles reach into the defense, energy, transportation and financial service sectors—which was hired by the NYPL in 2007 to formulate what became known inside the trustee meetings as “the strategy”? If librarians were the first to successfully stand up and oppose the intelligence overreaching and if Booz Allen Hamilton “is really an arm of the intelligence community” involved with the federal government’s “most controversial federal surveillance programs in recent years” then why was Booz Allen Hamilton hired to help reorganize the New York Public Library's most important libraries? One might expect that the intelligence community's reaction to being thwarted by librarians pushing back to resist the PATRIOT Act might have been a little like the intelligence community's reaction to Edward Snowden's questioning the scope of their surveillance. What was the intelligence community's reaction to Snowden? If you have been following it, it was harsh, but one example was Richard C. Schaeffer's reaction to Snowden at New York County Lawyers Association, "Government Surveillance and Privacy Have We Reached a Tipping Point," held June 11, 2015 . . .
“My opinion is one day Edward Snowden will rot in hell,” said Mr. Schaeffer. The conference with panelists representing the spectrum of opinion involved the dissection of complicated and intricate national security law questions in what is normally fairly genteel `lawyer speak' so Schaeffer's remark really stood out and generated comment. According to his bio Mr. Schaeffer, having moved on to become a V.P. of Emerging Technologies & Markets at KEYW, was a former Senior Executive with the National Security Agency (NSA) with over 40 years total U.S. Government service, including 15 years as a member of the Defense Intelligence Senior Executive Service. "Rot in hell" is the reaction after Snowden's revelations prompted all three branches to change course and, at least ostensibly, rein in the unchecked overreach on the collection of data on U.S. citizens? Some of what was going on has already been ruled illegal by the judiciary and perhaps more will be in the future. The Fourth Estate, the press, also became less quiescent and began doing a better job of covering these issues. Prior to Snowden's revelations all three branches of government (and with its quiescence much of the press) had blessed what was happening and the Executive Branch had publicly lied to Congress about the extent to which such collection was going on and because members of Congress there listening knew they were being lied to there was complicity in that lie to the American people. It was only when there was transparency so that the public knew, that the three branches of government became accountable and changed course. It is odd to think of calling for Snowden to "rot in hell," when you consider everything that Snowden had to give up in his life, and the extreme risk he subjected himself to, by coming forward with his revelations. At the conference it was noted that, when it came to "motives" on the part of Snowden, venal motives did not apply: Money?- No, Power?- No, Career?- No. . Even peculiar ideology?- No!. Meanwhile, on the other side of the equation, the motives of people in the intelligence community do show up far too often as "money, money, money" and "career, career, career." That's something one could say the privatization of spying for profit is all about. What he did with that information-copying it, getting it to the press, and publicly identifying himself as the leaker-cost him his job and potentially his freedom, all for what appear so far to be idealistic motives. The more common temptation would be to use knowledge, legally and perhaps not even consciously, to generate more business. Richard Shaeffer can be linked to Booz Allen through INSA, the Intelligence and National Security Alliance. It was attendees of an INSA conference who in June of 2013 were reported to have been overheard saying that both Glen Greenwald and Edward Snowden should be disappeared. See: INSA – How Money and Power Corrupts National Security, by Tim Shorrock, June 9, 2013. More temperately, Mr. Shaeffer also said at the conference that he endorsed reactions to Mr. Snowden's revelations expressed by Robert S. Litt. Although when he attended, Mr. Litt was General Counsel of the Office of the Director of National Intelligence he was participating in the discussion only in a personal capacity for educational purposes and not in his official capacity or for attribution of his remarks in such official capacity. Mr. Litt said that while other people had changed their minds about what should be surveiled he hadn't and what he said indicated that he was thinking more constructively about how to go forward. He averred that because of what he viewed as the serious damage of the Snowden leaks there was a need to rebuild capabilities, and that most significant was the loss of relationships with US companies so that work would have to be done rethinking the historic relationship of those companies assisting the government as good corporate citizens. When the government surveillance establishment learned that libraries and librarians, at least many of them, were not going to cooperate in being turned into instruments of wholesale surveillance do we think that they weren't annoyed and that these government officials just turned away and went home? Or do we think that they decided to put on their thinking caps and construct another way to skin the cat? Hence the very odd, and otherwise almost impossible to explain decision to hire Booz Allen Hamilton, ""an arm of the intelligence community” involved with the federal government’s “most controversial federal surveillance programs in recent years” to help reorganize the New York Public Library's most important libraries? In the case of the NYPL's once world class and esteemed 42nd Street Central Reference Library, millions of books that have disappeared from the library went to the ReCAP facility site in New Jersey where they are now entombed. Because ReCAP shares space at Princeton University nearby the Forrestal Campus, a complex which has stringent federal security requirements as a laboratory devoted to nuclear fusion and plasma physics research, a public demonstration to protest the books' loss was effectively prohibited. That's ominous. Meanwhile, at this location the library's own books are being consolidated into the collections of others at this facility and there is "de-duping" of books, destroying or casting aside as not valuable what they refer derisively to as "artifactual originals.". .
. . . It is worth noting that duplicate books do have a purpose. After World War II many of Germany's books had been purposely destroyed by the government, lost to its libraries. One way that German library collections could be reestablished, the books replenished, was because there were duplicate books made available to the libraries in Germany from libraries in Australia. It would be nice to know that the bad news about dismantling libraries laid out above stops here. It doesn't. Libraries, as we knew them, are being dismantled or "re-imagined" without their traditional access to books throughout New York. There is good news, but only partial. It is good that the NYPL plans in connection with which the spy agency Booz Allen Hamilton was hired did not proceed exactly as envisioned due largely to the organized opposition of community activists, including the Committee to Save the New York Public Library, of which I am a part and Citizens Defending Libraries of which I am one of the co-founders. Citizens Defending Libraries was one of the plaintiffs, together with a group of high-profile scholars, that brought two of the three lawsuits that stalled, through the December 31st 2013 end of the Mayor Michael Bloomberg administration, the NYPL's Booz-imprinted Central Library Plan that was otherwise destined to dismantle Manhattan's three most important remaining central destination libraries, the 42nd Street Central Reference Library, the Mid-Manhattan Library and SIBL. Unfortunately, by this time the esteemed Donnell Library had already been destroyed, plundered by the real estate industry with the NYPL receiving an appallingly small pittance as its eyewash to explain the dismal shedding of such an asset. Also unfortunately, while the Mid-Manhattan Library is no longer slated for sale and while destruction of the research stacks at the 42nd Street Library has been prevented or at least forestalled, there are still plans to shrink the Mid-Manhattan Library and millions of research books have not been brought back to the Central Reference Library. Over a million books are also missing from SIBL, much of its recently built research bookshelf space has been sold, and the NYPL persists in its plans to sell the exceptional and still extensive public space that remains at SIBL- The consolidation to cram what remains of SIBL into its premises is what will shrink the current Mid-Manhattan. Up through at least 2001, the end of the Mayor Giuliani administration, the NYPL's plan had been the reverse, to nearly double the size of Mid-Manhattan. Meanwhile, the kind of odd dismantling transactions that Booz Allen helped inaugurate at the NYPL were being replicated elsewhere in the city, expanding to the city's other libraries and systems. New York's libraries are entrusted to three systems that historically grew up separately: The Brooklyn Public Library is in charge of Brooklyn's libraries, the Queens Library oversees those of Queens, and the NYPL has responsibility for all the rest, those in Manhattan, the Bronx and Staten Island too. At the same time a shrink-and-sink real estate deal was concocted that would extinguish the central destination Donnell Library was devised and launched, a virtually identical shrink-and-sink real estate deal (with an overlap of people in the background) was ginned up for Brooklyn's second largest and most important library, the central destination Brooklyn Heights Library in Downtown Brooklyn at the confluence of all the city's public transportation lines in that borough. The library, greatly enlarged and fully upgraded in 1993 is, except for the BPL's main Central Destination library at Grand Army Plaza, probably the most up-to-date and capable in terms of modern computer support. It is also a Federal Depository Library, part of a system essential to providing information to the public and archiving history about the federal government. At a March 9, 2015 public meeting about the proposed Heights library destruction BPL president Linda Johnson nonchalantly dismissed my question about the library's Federal Depository Library function saying. : “I am not even sure exactly what you mean by a Federal Depository.” That kind of outwardly cavalier attitude, albeit by a non-librarian (essentially a political agent) put in charge of the borough's libraries, should concern us about how readily the nationwide program could be compromised. Early on in minutes of the BPL, and ultimately in statements made publicly by Linda Johnson herself, it was clear that the real estate strategy effecting the shrink-and-sink plunder of the Heights library, the consequent banishment of most of its books, was one that would be extended to all of the BPL's libraries, all of the BPL's "real estate," that for the BPL the assault on the Heights library was just the first maneuver. In fact, when the shrink-and-sink Heights deal went before the New York City Council on November 18, 2015, Johnson was ready to proclaim that it would be viewed as a “model” for other deals throughout the city and in all three systems as Ms. Johnson testified at City Council’s hearing on the matter. Days later, December 15, 2015, much the same was said as the City Council approval of the library sale triumphantly reported to the BPL's board of trustees, who were told that this was a “huge turning point for the library system” and “across the city in general” and that Johnson was `pioneering’ the future of libraries. The BPL trustees were also told at an earlier meeting that its plans would be a model for other urban areas throughout the country. Insight about the kind of shifts being encouraged alongside the real estate deals can be gleaned from what the BPL trustees were told more recently at a meeting February 23nd of this year, when they had described to them an "exciting" "incubator" initiative, intended to have its librarians "change their roles" from being "information oriented," using what they learned in "library school" because "the profession has changed, it's not about reference anymore." Instead, with the initiative that senior staff hoped to "scale" up and "push the envelope," the senior staff leading the library was seeking to quell or "manage" librarian's "risk aversion," and have librarians learn "project management skills," how to build and run projects working with "partners" from the private sector (all the librarians tapped for the first cycle of this new training "had to identify a partner"). The trustees were told that this initiative was being worked on at the library by the following departments: Strategy (translate real estate), IT (information technology), Government Affairs and Public Service had been working on. Activism by resistant community groups including Citizens Defending Libraries has impeded or prevented some of the more city-wide plans that Johnson spoke about: Previously announced as a top priority along with the Heights real estate deal, the BPL's sale of the Pacific Branch is not currently being openly pursued. The BPL and Spaceworks backed off on a privatizing shrinkage of the Red Hook Library, although the alarm about Spaceworks was not sounded early enough to prevent it from taking over the second floor of the Williamsburg Library. An alerted Sunset Park Community has mobilized and is in a much better place to defend itself against previously secret plans to turn its library into a multi-use real estate project. Still, the fact is that battles are likely to be lost and new aspects of the unfolding plans continue to surface. At each of its last two board meetings the NYPL revealed that another of its libraries was being targeted for real estate deals. One library, subject of negotiations with Mayor de Blasio's administration, is an unidentified library in northern Manhattan, likely Harlem. In 2008 information came out, although not specific about plans for what appeared to be another consolidating shrinkage in northern Manhattan. The second library which has not been identified is, from information a NYPL trustee let slip, is apparently the Jerome Park Library in the Bronx. But it has been a long time since the spy agency Booz Allen Hamilton was involved in all this dismantling. . . Or has it been? to increase efficiency . . to develop strategic cost-cutting measures . . . improve efficiency and generally improve service to patrons . . find areas for collaboration amongst the systems to improve the operations and reduce the operating costs of all three [NYC Library systems]. to study technical services operations for best practices and potential cost savings through shared services. Those minutes disclose that while all three libraries paying for this engagement much of the cost of the Booz & Co. contract was being picked up by Bloomberg's City Hall and the Revson Foundation. Now, before getting too excited about Booz & Co. assuming these functions in connection with an extension of reorganization of NYC libraries similar to and seeming flowing out of the NYPL Central Library Plan for which Booz Allen was responsible, it is necessary to make a technical distinction between Booz Allen Hamilton and Booz & Co. Booz & Co. was created by Booz Allen Hamilton and spun off from it in 2008 when Booz Allen Hamilton was being acquired by the Carlyle Group. So arguably it could said that Booz & Co., the acorn falling far from the tree, might not be expected to engage in the spy business. More recently, in 2014, Booz & Co. has changed names again merging with PwC (PricewaterhouseCoopers) to form the consulting firm "Strategy&." But Tim Shorrock, author of "Spies For Hire" also lists PricewaterhouseCoopers as a company known to have done work for the NSA. So who exactly were the NYC library systems hiring back in 2011? What kind of Booz? BPL President Linda Johnson, explaining the hiring of Booz to her board February 8, 2011, told them that, "Booz came to BPL with extensive experience with libraries." Was this "extensive experience" anything more than than the work Booz Allen Hamilton did for the NYPL when hired for the "radical overhaul at the NYPL"? Similarly, the minutes say that when Queens Library President Thomas Galante met with his trustees in Executive Session (i.e. secret session) on April 28, 2011, reporting that he was meeting with Booz & Company about a possible future consulting agreement, the firm was described as having "been used by the New York Public Library and Brooklyn Public Library for public service staffing model assessments." The minutes of the NYPL do not seem to ever refer to its engagement of Booz and Co. at this time to advise it either on "right-sizing" its real estate footprint or with respect to these other matters like digitizing or introducing a new focus on metrics. Notwithstanding, in that 2011 period the NYPL was very busy selling the bookshelves that held over a million books at SIBL and selling the 42nd Street Annex, another major piece of book-holding real estate serving as an ancillary facility for the 42nd Street Central Reference Library. The February 9, 2011 NYPL minutes do say this however, "Brooklyn is also engaging Booz Allen, [not Booz and Co.] which served as consultants in assisting NYPL to develop its new strategy. Deputy Mayor Patricia Harris has called on representatives of each of the three library systems to attend a meeting on March 7 to discuss potential for collaboration" (one of the multiple tri-li meetings held). Searching the website of "Strategy&." the continuation of Booz & Co., there are no apparent references to expertise on the part of the firm or "extensive experience with libraries." Who were the Booz representatives that showed up at various meetings? Although there are frequent mentions of Booz & Co. in available documentation of the meeting of Booz & Co. as a company meeting with the three library systems (tri-li meetings- "tri-library system" meetings) the apparently low-profile individuals representing Booz never seem to get named in relevant documents the way that representatives from other companies do. Perhaps more concerning given Booz Allen Hamilton's reputation as a spy agency, with proper searching, it is possible to pull up a reference to Booz Allen Hamilton having conducted a management study of the Library of Congress in 1996. It ought to be possible to provide a great deal more information about the Booz & Co. contract the City Hall entered into with the library systems in 2011 by virtue of the Freedom of Information act request for such information we made of the Brooklyn Public Library in 2014, but the BPL has stonewalled, refusing to provide the information it ought to have made public about the contract. The potential distinction between Booz Allen Hamilton as a spy agency contracting directly with the government to conduct espionage versus Booz & Co. as a consulting firm working only for the private sector and accessing information the government can only get its hands on through other means is an important one legally and and from the standpoint of perceptual optics. In national security law there is something called the "third party doctrine" which holds that US citizens give up their expectation of privacy and protection from unreasonable searches under the Fourth Amendment with respect to information they willingly put into the hands of independent third parties. Further, we think we have less to fear from private companies. Since the private sector doesn't have the same capacity or arrest us or the same motives to target us (for things other than advertising), we a less likely to be perturbed when Google, not the government, roams streets around the US, and the world in general, collecting a comprehensive photographic catalogue of everything in our neighborhoods and "sniffing" unencrypted Wi-Fi traffic. I have been asked by those suffering enormous frustration and bewilderment why the real estate shenanigans dismantling our libraries haven't been the subject of numerous and through investigations. The rushed and secretive sale and shrinkage of the Donnell Library (with a subsequent "ratification" by the NYPL board) stank and looked like an obvious scam with only the merest pretense of an effective bid: There were only two ostensible bidders on the secret sale and since both bidders were inevitably destined to be doing a coordinated real estate deal there was no real incentive for them not already to be acting in partnership. The sale was kept confidential until the last possible minute. It was finally announced publicly in November of 2007 only because, as a publicly traded company, the purchaser, Oriental Express Hotels Ltd., had to disclose the agreement within within four days of the execution of the transaction. The NYPL was then prepared so that, when announced, the public relations firm of Howard Rubenstein, called the ''dean of damage control'' (for the powerful) by Mayor Guiliani, would be ready to handle the press which was furnished information that ultimately proved be a very inaccurate representation of the transaction. There was also the Blackstone Group, its head Stephen Shwarzman on the NYPL board, then lurking in the background. The extremely valuable five-story Donnell Library, almost 100,000 square feet across from MoMA on 53rd Street between Fifth and Sixth Avenues was sold for a pittance, netting the NYPL less than $20 million. The penthouse in the luxury tower that replaced it was put on the market for $60 million and other apartments in the building are regularly sold for more than $20 million. The luxury hotel component in the building was sold to the Chinese in a record-setting transaction for more than $230 million. Yet when this was brought to New York State Attorney General Eric T. Schneiderman whose office regulates charities such as the NYPL and is supposed to prevent the kind of abuse that apparently occurred here and endorse other laws that would likely be pertinent here he had no interest in investigating. One must wonder whether, when it comes to investigating library sell-off abuses, our local New York politicians are a bunch of gutless wonders. New York City Public Advocate Tish James, who came into office promising to stand up against the abusive sell-off of public assets specifically citing libraries in particular has, nearly four years later, never stepped into the breach to use the powers of her office to that effect. We buttonholed Comptroller Stringer just the other day and complained about his non-investigation of the library together with his failure to produce the BPL library audit he promised. “I don’t investigate libraries,” he said. We responded that his website, his press releases and public statements all represent that he does investigate corruption, fraud and abuse and the waste of city funds. And Comptroller did produce an audit of the Queens Library where he went into details about much less significant matters, involving what were, comparatively, just a few dollars: How the former Queens Library head improperly used his library credit card to put gasoline in his other family members’ cars. There is, however, apparently one criminal investigation: US Attorney Preet Bharara is understood to be investigating Mayor de Blasio's apparent pay-to-play hand-off the Brooklyn Heights Library. Like the way that an effective and above-board bid process was apparently side-stepped with the Donnell Library to hand off the library real estate to a new owner for far less than its value, the Brooklyn Heights Library is being handed off for far less than its value to the public and is being given to a developer who was not the high bidder. When the frustrated and bewildered ask about it, it is easy to account for the lack of investigation by our New York officials by blaming it on the usual suspects and say that it is all about the power and influence of the real estate industry on politicians through campaign contribution and otherwise. That's no doubt part of it: the real estate industry in New York these days is regularly one of New York's most dependable villains. But maybe something more is going on that can account for the strange absence of courage on the part of our local officials. When it comes to surveillance by the government there is something called the "state secrets privilege." When it comes to criminal conduct, fraud and abuse it can act as a "get out of jail free" card. It can effectively halt both legal and criminal proceedings. It allows the exclusion of evidence in legal proceedings based on assertions by the government (often enough, not true or justified) that proceedings involving the evidence might endanger national security. If, without referring to that evidence, a plaintiff can't make their case a proceeding terminates. If a defendant accused of misconduct, injuring another, or a crime can't make their case, without referring to that evidence, a proceeding terminates. No doubt investigators and potential prosecutors are sensitive to the doctrine even in the earliest stages of inquiry and can be fended off. The career of a US Attorney like Preet Bharara inevitably depends not only on his taking on corruption and major elected officials; it also depends on public perception that he is tough on terrorists. And it means weighing in on subjects like the government's surveillance and third party assistance in that regard. It is frustrating how intricately connected this can all get. Does this mean that if "national security" can be invoked and government surveillance is involved people can corruptly carve up and fire-sale our public assets like libraries with impunity? Those involved with dismantling our libraries have certainly seemed to act like they have nothing to fear. 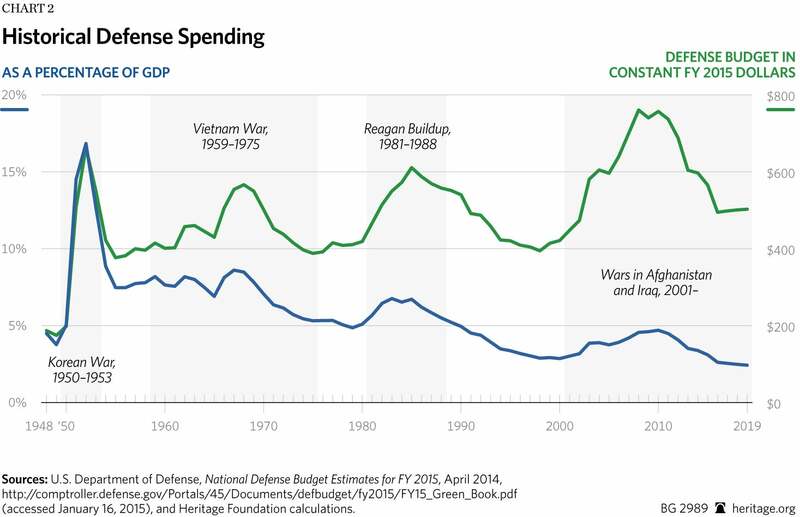 Unfortunately, one price we pay as the spending increases on surveillance and the dollars flowing out increasingly pervade the private sector is that transparency and oversight, the bulwarks against corruption, diminish. Notwithstanding, the state secrets privilege can be extremely problematic, but good investigators and prosecutors will do their best to make their case anyway even if it is more of an uphill battle. . .
Perhaps, given all these intersections, Preet Bharara is the perfect individual, with the perfect powers to be investigating these matters. Perhaps not. We shall see. One bad thing about criminal investigations is that when they are underway the criminal investigators will never tell you what is happening or what to expect. And I suppose, conversely, that one good thing about criminal investigations is that because they won't tell you, you can always, at least from the public's viewpoint, expect and root for the best to happen. That may keep the bad guys a little off guard. Government surveillance is a national issue. Can we expect, at least with libraries, something better from the next president? Well, both candidates likely to win, the Republican and the Democrat, have connections to the NYC library real estate sales. . .
. . . The Brooklyn Heights Library is immediately adjacent to the Forest City Ratner owned building where Hillary has her national campaign headquarters. The building is even, for development purposes, part of the same real estate development parcel as Hillary’s headquarters, thus constituting Hillary’s Forest City Ratner landlord a gatekeeper to the library sale, shrink-and-sink transaction. Ironically perhaps, the library given the intersection of the streets where it is located, is the “Tillary Clinton Library.” Hillary Clinton did not answer Citizen Defending Library calls to come forth and oppose this privatization of public assets.
. . . As for Donald Trump, remember that the shrink-and-sink sale of the Brooklyn Heights Library was modeled on the shrink-and-sink sale of the Donnell Library (with an overlap of the people behind both) and one of the principal financial beneficiaries of the secret sale of Donnell was Jared Kushner, Trump’s son-in-law and top campaign advisor. Here is something to mull and wonder over, perhaps allowing us to conclude on a more heartening note? It is so oddly coincident I would be remiss not to mention it. On September 19, 2007, as the NYPL trustees were getting ready to sell Donnell and launch the destructive Central Library Plan, the trustees were thinking about the PATRIOT act- Board Chair Catherine Marron brought it up her Chairman's report after telling the the trustees about a September 11, 2007 Celebration of Brooke Russell Astor. She noted that "an important opinion on the USA PATRIOT Act" had been handed down (September 7th) by NYPL Trustee Victor Marrero serving as United States District Court Judge Southern District of New York (appointed by Clinton in 1999). . .
Judge Marrero's decision, in the same vein as another he issued, struck down controversial portions of the USA PATRIOT Act according to the Washington Post, ordering the FBI to stop its wide use of warrantless, secret "national security letters" (NSLs) to demand e-mail and telephone data from private companies. Well enough that that Judge and NYPL Trustee Marrero issued such an opinion for the protection of the public, but we must return again to the big unanswered question we are addressing here: Why was a top U.S. intelligence spy agency engaged for radical overhaul of libraries as we have traditionally known them? Even if you believe that libraries should be re-envisioned so that they no longer constitute the zones of privacy as they traditionally were in the past, and instead become zones of surveillance, what about public debate of the related questions? The reduced and restricted availability of knowledge? The dumbing down of the American public? (Could this presidential election cycle ever be more dumbed down than it is?) What about resisting pressure to altering libraries in other ways that might be good for others, like those in the internet and tech industry, but not good the public? For instance, as the NYPL trustees were considering how they would re-envision their key NYC libraries under the Central Library Plan they were cautioned by NYPL president Tony Marx about not treading into the territory that should be reserved for "Google" and "Amazon." As Snowden made clear with his revelations, there can be no effective debate if the public doesn't even know what is happening. In other words, there is a high price in our democracy for maintaining `perfect security' . . . . And we must ask whether that is, in fact, exactly what is going on here.